A recent study examined the factors leading to a worsened progression of diabetes in people who have severe mental illness. While diabetes is well-known for being one of the most common and serious diseases, it is not well-known that people with serious mental illnesses tend to experience a higher severity of diabetes. In fact, mentally-ill patients are twice as likely to develop diabetes. Mental illness seems to provoke more acute complications and even increase mortality rates. However, the exact relationship between mental illnesses and diabetes is not well-researched. One of the assumptions is that, since diabetes requires meticulous maintenance, people in this population find it even harder to follow. In this manner, the progression of the disease is significantly worse. To test this hypothesis, a team of researchers in England surveyed over 70 patients to determine which factors indeed relate to this deterioration. 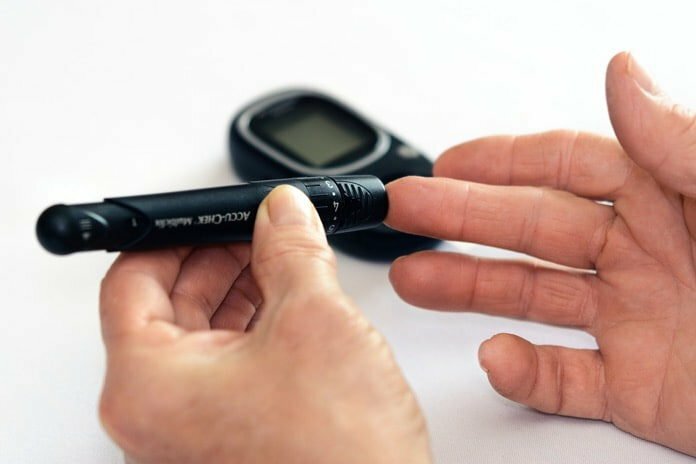 As published in BMC Psychiatry, the researchers examined the patients’ self-management of diabetes, as well as outside factors such as support from families and healthcare access. The first result of this study shows a significant increase in smoking among these patients. Smoking can lead to dire complications in diabetic patients. Thus, diabetes management often focuses on smoking cessation, and specific attention should be given to it with mentally ill patients. On top of that, smoking can influence other factors that contribute to the development of the disease. For example, a smoker might find it harder to commit to exercise, which is essential to diabetes management. The researchers have also determined that there is a connection between the amount of health care service a patient receives and how well they adhere to their care routines. In fact, setting goals and plans for the treatment and management of diabetes can be significantly helpful. Unfortunately, the great majority of the patients in this study did not participate in such activities. A further, notable finding was that only 40% of the participants received emotional therapy of any sort. This figure is quite alarming, since the study specifically aimed for severely mentally ill patients, and most of them report significant emotional distress. Emotional regulation factors were found to be likewise connected to successful diabetes management. While the study does offer some insight, we should be cautious of the level of confidence these results provide. A major flaw in this study is the relatively small sample of patients. While it may be hard to recruit participants in this area of study, it is also very important for us to be able to draw conclusions. Surveys, like the ones employed in this study, only provide a glimpse of the entire issue and require retesting and replication. Nevertheless, being one of the few studies to examine this phenomenon, this study shows an increase in the need for understanding diabetes management in these patients. Keeping in mind that around 13% of severely mentally ill patients develop diabetes, this occurrence affects a large number of the population. The hope is that more studies will follow this line of questioning, raising the awareness of both patients and practitioners of the relationship between these conditions.